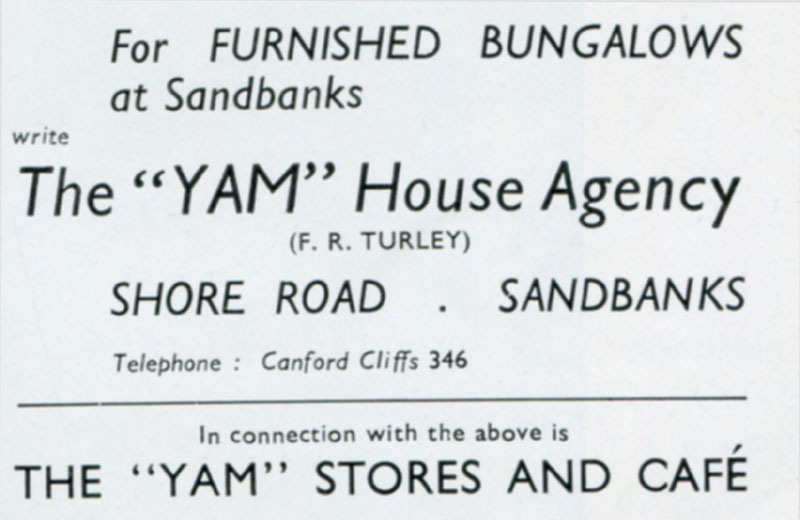 Advert for " Yam" House Agency. Furnished Bungalows " Yam " House Agency. connection with The " Yam" Stores And Cafe'.